This is the first in a series of articles showing how you can eat better and more nutritiously just by thinking COLOR! 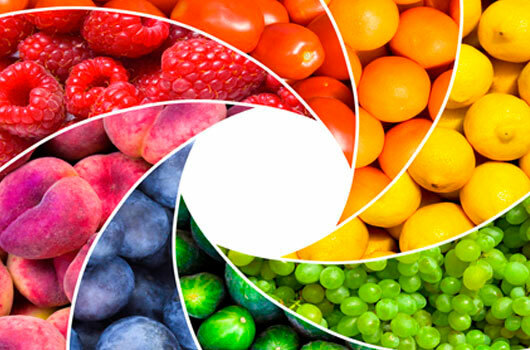 If you match fruits and vegetables to each color of the color wheel, you’ll automatically get more vitamins and nutrients into your family’s diet. This month, we start with orange foods. Orange fruits and vegetables contain beta carotene a powerful antioxidant that helps balance blood sugar level and promotes healthy eyesight. In the recipes below, we’ll focus on a few of the nutrient rich powerhouses including sweet potatoes (a great choice for diabetics), mangoes (high in iron!) and papayas (helps the digestive system). And the good news is that all of these orange foods taste great.